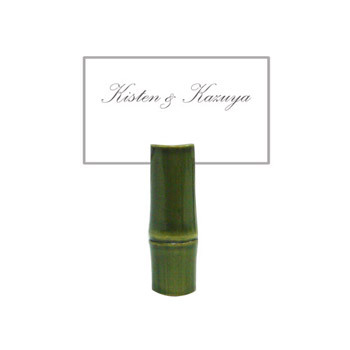 These cute bamboo placecard holders are perfect for your Asian themed event or wedding. Price is per set of 12 bamboo placecard holders. The set of 12 will have an assortment of 2 different styles.